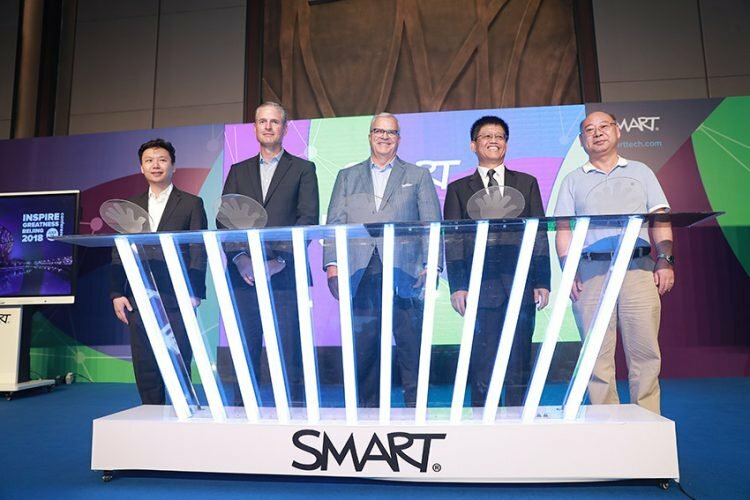 Last week Peter McAlpine and Vince Lee joined other key Global SMART Executives including President and CEO Greg Estell and Executive Vice President Jeff Lowe at the SMART Technologies official launch in China. 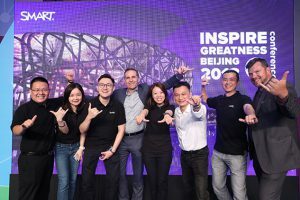 Held at the Park Hyatt in Beijing the launch heralded the announcement of four strategic partnerships building on the strong teacher community already in China. As the inventor of the SMART Board® and a leading global brand of technology in the classroom, SMART products are already used in almost 100,000 classrooms in China. In addition, SMART already has 70 model schools and 93 model teachers in China. This announcement signals the beginning of SMART’s deep investment in the China education sector. The 5-year China plan, will see SMART's rich experience and leadership in the global education market contribute to the delivery of even stronger outcomes in China education. SMART will actively promote the manufacture of future school equipment in China and promote new education concepts and practices, thus delivering on SMART’s important mission to support the development of China's smart education industry. At the launch included the launch of the SMART Board MX displays in China. The SMART Board MX offers great value for China schools needing an interactive display with limited budgets and has all the essentials educators need to integrate student devices into any learning environment, including a digital whiteboard and web browser. The launch also included the signing of strategic cooperative agreements with value-added partners JD.com, Bonio PaGamO, Beijing Daheng Technology, and Shenzhen Eternal Asia. The agreements cover both the education and business sectors. Beijing Daheng have been a major contributor to SMART’s success over many years in China. Bonio PaGamO is an online education platform with a focus on gamification. This aligns with SMART’s continued interest in enhancing learning for students and enabling teachers to bring game-based learning activities into their practices. Gamification provides benefits for teaching and learning both in mirroring the student’s world and personalizing learning by placing students at the centre. SMART will combine this platform with existing educational software, engaging students to achieve improved academic outcomes. The future of learning in China has become enriched by this launch and the development of SMART Technologies enhanced through new partnerships!